March 29, 2014  A recent study ranked France at the bottom in Europe when it came to English proficiency. But some French are trying, like those who take lessons on high-speed commuter trains. March 17, 2014  'Impair Ou Pair?' To combat smog, officials restricted car use Monday. For the most part, only cars with odd-numbered license plates could be on the streets. The rule will end after today. 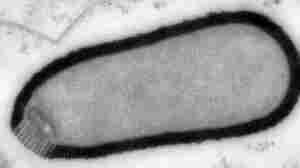 March 4, 2014  A team of scientists says it has reawakened an ancient pathogen. It's not dangerous to humans, but they warn that climate change could free potentially deadly organisms locked in permafrost. 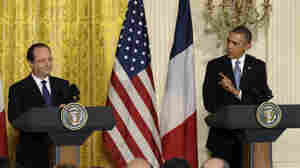 February 11, 2014  Obama is currently hosting French President François Hollande for a state visit, the first to the White House in about two years. 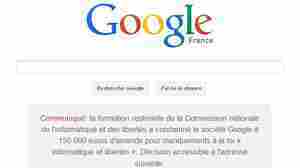 February 8, 2014  The Internet giant has been ordered to publish a public notice that it violated French regulations on user privacy and was ordered to pay a $200,000 fine. France's President Wonders: What Happened To My Privacy? January 14, 2014  Once upon a time, a French president having an affair was no big deal. The media, if it knew, could be counted on to ignore it. And public didn't seem to care. 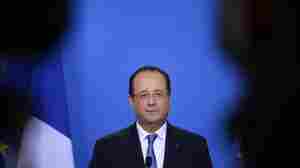 As President Francois Hollande has discovered, the rules have changed. January 12, 2014  One observer calls the episode a "very British scandal about a very French affair." French laws and culture make publishing stories about affairs rare. December 29, 2013  The millionaire tax was a campaign promise from French President François Hollande. Film star Gerard Depardieu famously fled the country to avoid paying the tax. December 11, 2013  Twenty-four items sold for $530,000 this week in Paris. The Los Angeles-based Annenberg Foundation turned out to be the buyer, and says it stepped in after a French court rejected efforts to halt the auction. December 10, 2013  Poly Implant Prothese was once among the world's leaders in supplying implants. But after its product was found to have a high rupture rate, a public health scare followed. Its founder was sentenced to four years in prison for fraud. December 9, 2013  The U.S. said it offering help to stave off a humanitarian crisis and promote stability in the region. 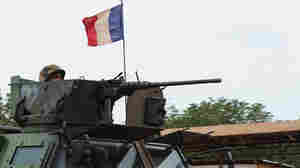 December 6, 2013  France sends troops to its former colony after clashes between Muslims and Christians left nearly 300 dead. Will The French Really Pay More for 'Made in France'? November 11, 2013  Like much of Europe, the French economy is still struggling. But a recent poll showed that more than 70 percent of the French were willing to pay more for goods made at home, and the numbers were supported by a strong turnout at a Made in France fair in Paris. 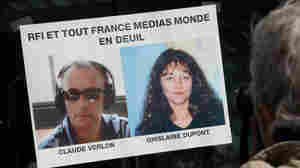 November 6, 2013  An online statement attributed to al-Qaida in the Islamic Maghreb says the pair from Radio France Internationale were killed in response to French troops operating in Mali.